Sebamed is an extremely effective yet gentle shampoo for those with mild to moderate dandruff caused by Seborrhoeic Dermatitis. Why isn’t this brand better known! Sebamed are a new company to me. They are German company who are more famous for producing skin products for babies. This bodes well for us with sensitive skin sufferers so I was looking forward to trying their anti-dandruff shampoo. I have to admit, I love their packaging. The branding looks modern and clean and on closer inspection, the ingredients of this shampoo are “almost 100% biodegradable”. I’m not sure what almost 100% means but it sounds like the company has good intentions. The ingredients in this shampoo reflect a company who are well versed in making market leading baby skin products There are a few allergens in here but certainly much less than the industry standard. The main concern is the use of “parfum”. However none of the EU 26 contact allergen fragrances are in there, so some comfort can be taken from that. It does also contain Sodium Lauryl Sulfate (SLES), considered one of the more gentle sulfate based surfactants, but I would personally have preferred if they didn’t use it at all. So how does this shampoo perform? 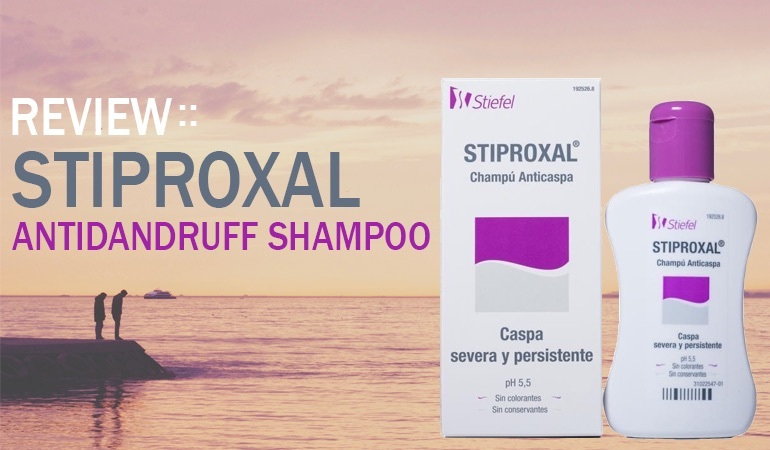 The shampoo’s active ingredient is Piroctone Olamine, an anti-fungal ingredient to treat dandruff caused by Seborrhoeic Dermatitis. Its a very effective ingredient for mild to moderate dermatitis. Perhaps not as effective as e.g. Ketoconazole but its also a gentler ingredient, even for every day useage. 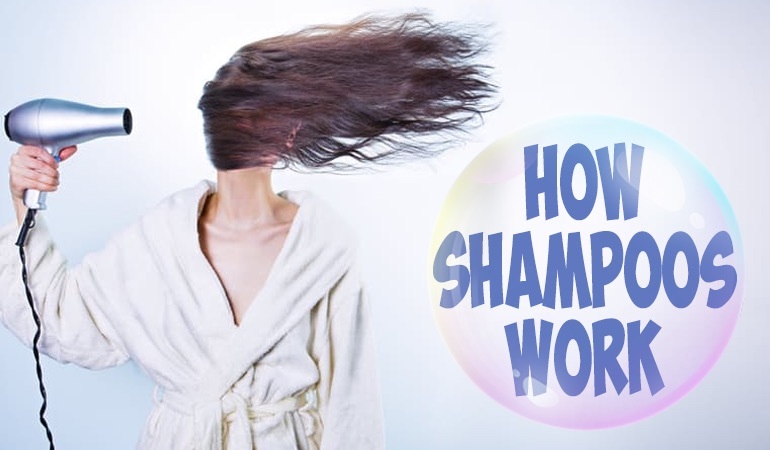 Often when such gentle ingredients are used, the shampoo itself is hopeless at washing. But this just isn’t the case with Sebamed. This company are obviously extremely skilled at creating gentle but effective shampoos. The shampoo is clear, has a very mild soapy scent and foams very well indeed. Considering there are no harsh sulfates at work here the performance is astonishing. My hair felt extremely soft and clean afterwards and it helped remove my dandruff and control my itchy scalp. If you have mild or moderate dandruff caused by Seborrhoeic Dermatitis, I simply can’t recommend this shampoo highly enough. Hi I was wondering if you knew if the hair loss shampoo they do is suitable for dandruff? Their hair loss shampoo contains nothing that would alleviate seb derm or psorasis. It won’t help with product build up either. It’s not a shampoo I’ve used before and it may help those who get dandruff from a dry scalp but it wasn’t designed for that. this shampoo is fine but i wish it had little bit salicylic acid in it to remove build up and other greasy things stuck to scalp…i read the other day that aspirin have salicylic acid in it and adding aspirin tablets in normal shampoo can make that shampoo anti-dandruff..what if i use aspirin tablets in this shampoo to help clean scalp even better? i know you’re going to suggest vichy shampoo with piroctone and salicylic shampoo but i dont want to use that ..what do you think about adding aspirin tablets in sebamed ? Well bobby, that’s an interesting one. Salicylic Acid is the active ingredient of aspirin. There are a couple of problems with that approach though. I don’t know what other ingredients are in Aspirin. The other is, you don’t know how much you are adding. Salicylic Acid Shampoos typically contain 1 to 3% of the ingredient and 3% is pretty strong. Enough to dry my skin anyway. I’d be very careful doing that. They both contain both Piroctone Olamin and Salicylic Acid and are both excellent choices. yes i have looked and read every shampoo review on your website and after searching i have ordered t gel treatment conditioner hoping that it will not dry scalp and clean scalp as well with 2% salicylic acid. hi,Chris.I’m so glad that i found your website.it’s really helpful.As I have not been see a dermatologist yet.My symptom occurs straightly after shower. There are each of big white flakes at certain places on my scalp,and redness.if i clean them and they won’t appear until the 3rd day. and also i feel itchy at those area. plus.i’m planning to have a baby. Hi, i got this cysteine treatment done which basically relaxes the frizziness of the hair. After this treatment it is recommended that i use sulphate free shampoo. But i have a lot of dandruff. Is this shampoo sulphate free? The review for this product says it has “absolutely no sulfates, parabens, phthalates or harsh fragrances” – but looking at the description on Amazon it contains Sodium Laureth Sulfate as the main ingredient after water (aqua). I’m really disappointed as have spent a few hours on this site reading reviews, chose this one, placed an Amazon order and have now had to cancel it as I’ve realised from this comment it does contain sulfates. Need to start over! Could you amend the review so it doesn’t say “no sulfates”? Otherwise fantastic site, thank you. My scalp gets too greasy the next day after wash..can u suggest me some shampoo which can control greasy or oily scalp so that I need not have to wash everyday.. If that doesn’t float your boat, have you tried a clarifying shampoo? They can help get rid of excess build up on the scalp. There’s an introduction into scalp build up on this very site. I’ve just had a cursory glance at the hair loss shampoo and you’re right – it has pioroctone olamine in there. Not sure how much. It doesn’t look like a much harsher formulation though. It has Propylene Glycol in there, a type of alcohol that can dry your skin. But on the whole it looks like a very similar base formulation with some added ingredients (e.g. caffeine, creatine, Ginkgo Biloba leaf extract) to promote hair growth. I don’t know how effective they are though! Hi Chris, I am interested in an affordable gentle shampoo for everyday use- Sebamed have a shampoo called ‘everyday shampoo’- are the ingredients ok or does it have any nasties in it? That’s a tough one to answer – I can’t shampoo everyday at all with any shampoo and only shampoo once or twice a week. I also don’t use a medicated shampoo every time either. It really depends on my scalp at that time. 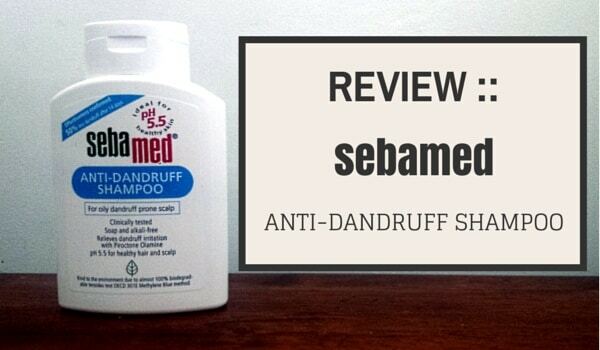 Sebamed is an excellent shampoo in my opinion though and certainly one of the gentler shampoos I’ve reviewed. It isn’t free of harsh chemicals but I haven’t found a shampoo yet that is. Compared to most it’s definitely a gentler choice though. I use it frequently. I also find that if I’m having a bad breakout it does’t quite cut the mustard and I use something stronger like Nizoral 2% or Selsun 2.5%. They are harsher shampoos but better at controlling my seb derm. Controlling your own dandruff is really going to be a process of trial and error unfortunately – I won’t be able to give you all your answers – only what works for me. Just thought I would add that Sebamed Anti-hairloss shampoo contains 0.2% Piroc Olamine (PO), whereas the Sebamed Anti-dandruff shampoo contains 0.6% PO. thank you sooo much for that info… that should be posted on more websites when you review these two products. Hi Chris, I have come across another interesting PO shampoo from Germany which I can’t rate highly enough- it has become my go to shampoo that I rotate with keto shampoo to deal with my scalp. Its called Salthouse Totes Meer Therapie shampoo- its very gentle and contains glycerin, dead sea salt, PO, aloe, and tea tree oil. Hi there – I’m not an expert in hair loss – but you could try another Piroctone Olamine shampoo if you find that active ingredient helps? Does this shampoo help with Scalp Psoriasis as well? Is it possible to use this shampoo every day? And every bath?